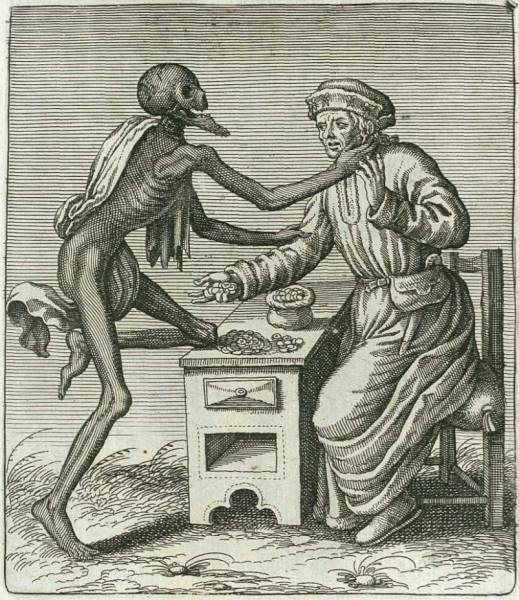 The usurer from Basel's dance of death by Matthew Merian. 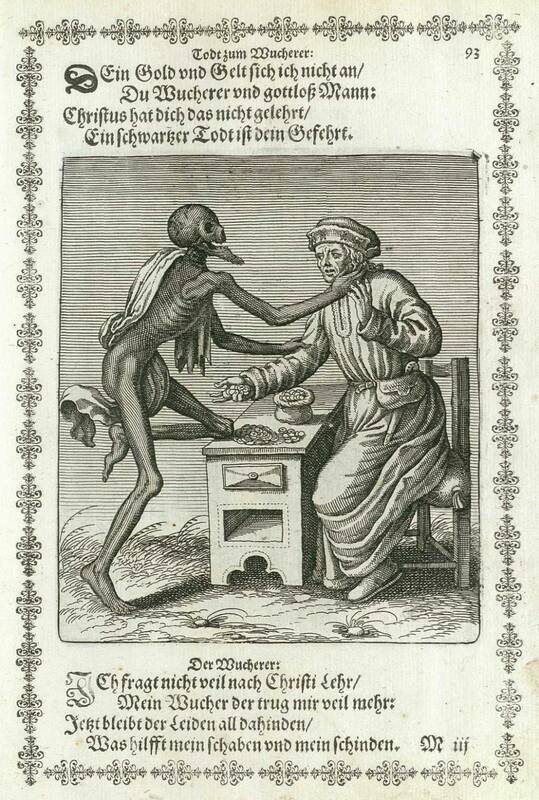 In the earlier version the image did not reflect that the text speaks about "a black Death". There's a larger version here: Usurer.